Lawrence University President Mark Burstein officially opens the university’s 170th academic year, along with its 2018-19 convocation series, Thursday, Sept. 13 with his annual matriculation address. All convocations begin at 11:10 a.m. in the Lawrence Memorial Chapel and are free and open to the public. Now in his sixth year as Lawrence’s 16th president, Burstein has focused on creating learning communities in which all members can reach their full potential. Prior to Lawrence, Burstein served nine years as executive vice president at Princeton University and 10 years at Columbia University as a vice president working in human resources, student services and facilities management. Her scholarship focuses on the way Americans make sense of politics and their place in it. She is the author of “The Politics of Resentment: Rural Consciousness in Wisconsin and the Rise of Scott Walker,” which examines rural resentment toward cities and its implications for contemporary politics. The book earned Cramer the 2017 American Political Science Association’s Qualitative and Multi-Method Research Section Giovanni Sartori Award for the best book developing or using qualitative methods. After earning a bachelor’s degree in journalism and political science at UW-Madison, she earned her Ph.D. in political science at the University of Michigan. While he’s never been a NASA employee, he was part of the Hubble Space Telescope team at NASA ‘s Goddard Space Flight Center and has been involved with NASA-sponsored public outreach programs for several satellites that study high-energy forms of light emitted by black holes, exploding stars and super-dense neutrons stars. Pliat, who earned a Ph.D. in astronomy from the University of Virginia, is the author of “Bad Astronomy: Misconceptions and Misuses Revealed, from Astrology to the Moon Landing ‘Hoax’” and “Death from the Skies!,” in which he provides real science behind all the ways astronomical events could wipe out life on Earth. A one-time fashion photographer who earned a bachelor’s degree from the prestigious Brooks Institute of Photography, Wilbur launched Project 562 in 2012 with a goal of photographing and collecting stories of Native Americans from each federally-recognized Indian tribe in the United States. To date she has visited more than 300 sovereign nations in 40 states documenting the diversity, vibrancy and realness of Indian country. She has taught visual arts at Tulalip Heritage High School in Washington state, providing training and inspiration for the indigenous youth of her own community. Her photography has been exhibited in national and international venues, including the Seattle Art Museum, the Royal British Columbia Museum of Fine Arts and France’s Nantes Museum of Fine Arts. Burrows, whose address is titled, “Education for Effective Action,” is the 10th recipient of Lawrence’s Faculty Convocation Award, which represents the judgment of faculty peers that the person’s professional work is of high quality and deserves the honor of selection. His career in higher education spans more than four-and-a half decades, including the past 13 years at Lawrence after joining the administration in 2005 as provost and dean of the faculty. In 2017, he returned to the classroom as a full-time member of the psychology department, where he teaches “Principles of Psychology,” “Cognitive Psychology” and Freshman Studies. Burrows, who earned a Ph.D. from the University of Toronto, taught and served as psychology department chair at the State University of New York at Brockport and spent 17 years at Skidmore College, where he was department chair and associate dean of the faculty. Immediately prior to Lawrence, Burrows served as vice president for academic affairs and dean of the college at Beloit College from 1997-2005. 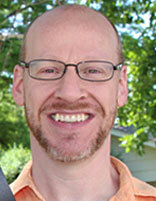 His current scholarship focuses on how students learn in college settings. He has worked with students to help them develop good self-evaluative skills as an enhancement for learning and is interested in the concept of engagement as a critical factor in learning and cognitive development. As the composition of college classrooms have become more culturally and cognitively diverse, the way professors teach needs to change to remain as effective as possible for all learners. 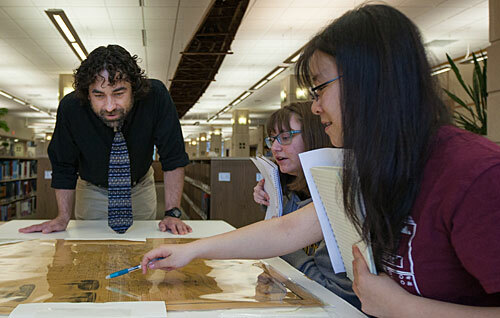 Supported by a $500,000 grant from the New York-based Andrew W. Mellon Foundation, Lawrence University begins a program this fall focused on inclusive, integrative and project-based pedagogy across the humanities and humanistic social science disciplines. David Burrows, who spent 12 years as Lawrence’s provost and dean of the faculty before returning to his teaching roots this summer as a member of the psychology department, will direct a Task Force on Pedagogy that will be charged with implementing the activities funded by the grant over the next four years. As a result of those individual learning differences, more individualized teaching and learning programs are necessary says Burrows. At the heart of Lawrence’s inclusive pedagogy initiative will be three main components: technology to devise learning programs specific for each student, “active learning” practices and using ideas about best practices from outside experts. “Using digital resources will enable students to start at the place where they come in and work their way up at their own pace,” said Burrows. “That’s an individual mastery system as opposed to assuming everyone is starting at the same place. According to Burrows, active learning features more group discussion and more student-initiated activity. A substantial amount of the basic learning may take place outside of the classroom with class time spent discussing the implications of things. In conjunction, classrooms will be redesigned to better facilitate group discussions. The grant also will allow Lawrence to bring in outside experts who can share their ideas and practices. “We want to have people who know about the science of learning and some new things that have been tried speak to us and conduct workshops so that we can become experts in these things,” said Burrows. The inclusive teaching initiative lends itself easier to some disciplines than others and will initially focus on Lawrence’s signature program, Freshman Studies, and what Burrows calls “gateway” courses, those that are lower level or introductory courses. He pointed to psychology, anthropology, history, English and some economics courses as those “well suited” to this approach, but said it also can be effective in a piano or other music performance classes. Freshman Studies and the gateway courses were chosen for their institutional-wide impact, with a large portion of the faculty exploring ad adapting inclusive teaching approaches. Burrows sees the teaching transition presenting challenges for both students and faculty. “These kinds of active learning strategies are more effective with students, but it also means they’re working harder,” said Burrows. “They’re doing a lot of the basic acquisition work outside of class time, using digital technology to understand the basic principles of the material and then spending class time talking about it. While the adaptation of various forms of active learning is gaining momentum nationally, Burrows said Lawrence is excited about carving its own niche in the field. 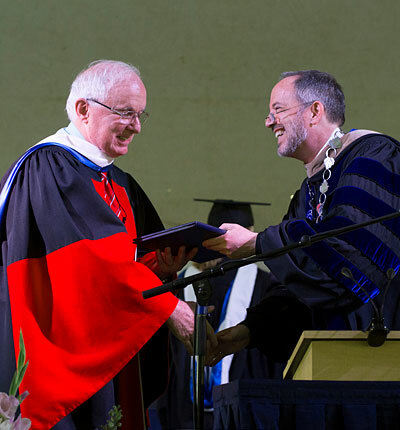 To his surprise, and delight, Lawrence University Provost and Dean of the Faculty David Burrows was awarded an honorary Doctor of Humane Letters degree Sunday at the university’s 168th commencement. Provost and Dean of the Faculty David Burrows (l.) receives congratulations from President Mark Burstein after being awarded an honorary Doctor of Humane Letters degree at Lawrence’s 168th commencement. Burrows announced last year that he would leave his current post to return to teaching this fall. 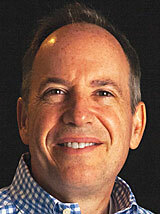 He has served as Lawrence’s provost and dean of the faculty since July 1, 2005. Burrows officially leaves his position as Lawrence’s chief academic officer June 30. He will return to the classroom this fall as a professor of psychology. As part of new duties, Burrows will lead an initiative to foster collaboration with faculty to develop ideas and programs for liberal learning pedagogy. Significant advances have been achieved in understanding how individuals learn and Burrows’ efforts will help Lawrence take advantage of these developments. During his tenure, Burrows oversaw the hiring of 75 new faculty members and was instrumental in developing Lawrence’s Senior Experience program. He also played a leadership role in designing and launching the Lawrence Fellows in the Liberal Arts and Sciences program for emerging scholars who recently finished their graduate degrees. A native of New York City, Burrows joined the Lawrence administration after spending eight years as dean of the college and vice president for academic affairs at Beloit College, where he also taught in the psychology department. Prior to focusing his career on college administrator, Burrows spent 25 years in the classroom as a cognitive psychologist: eight years on the faculty at the State University of New York at Brockport and 17 years at Skidmore College, where he also served as associate dean of the faculty for three years. Beyond the campus borders, Burrows is a member of the board of directors of the Appleton Education Foundation and is a former chair (2012-14) of the board of directors of the Fox Valley Literacy Council, for which he still serves as a board member. He earned a bachelor’s degree in psychology from Columbia University and a master’s degree and Ph.D. in psychology from the University of Toronto. Amid increasingly diverse classrooms, Lawrence University is sponsoring a conference focused on inclusive pedagogy. Lawrence’s inaugural diversity conference — “Teaching All Students Well: Preparing an Educated Citizenry for Wise Participation in a Diverse Democracy” — will be held Aug. 17-18 on the Lawrence campus. The conference is organized by Kimberly Barrett, vice president for diversity and inclusion and associate dean of the faculty, and the professional development committee of the President’s Committee on Diversity Affairs. The conference is designed to help all educators strengthen their individual learning communities through effective and inclusive teaching methods. 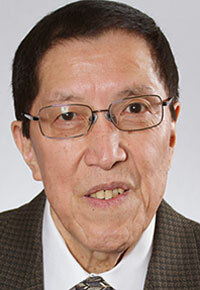 Highlighting the conference will be a keynote address by multicultural scholar Derald Wing Sue, professor of psychology and education in the department of counseling and clinical psychology at Teachers College, Columbia University. Sue also holds an appointment with Columbia’s School of Social Work. Sue was honored by the American Psychological Foundation in 2015 with the APF’s Gold Medal for Life Achievement in Psychology in the Public Interest, an award that recognizes distinguished careers and enduring contributions to the application of psychology in the public interest. Registration for the conference prior to June 19 is $135. From June 20 to Aug. 11, when registration closes, registration is $175. Any non-Lawrence student can attend for $25. Registration includes a networking reception, lunch and conference materials. Interested parties can register online to attend the conference. For questions or additional information, contact Michelle Lasecki-Jahnke at 920-832-67454 or michelle.l.lasecki-jahnke@lawrence.edu.